LVM is a tool for logical volume management which includes allocating disks, striping, mirroring and resizing logical volumes. With LVM, a hard drive or set of hard drives is allocated to one or more physical volumes. LVM physical volumes can be placed on other block devices which might span two or more disks. The physical volumes are combined into logical volumes, with the exception of the /boot/ partition. The /boot/ partition cannot be on a logical volume group because the boot loader cannot read it. 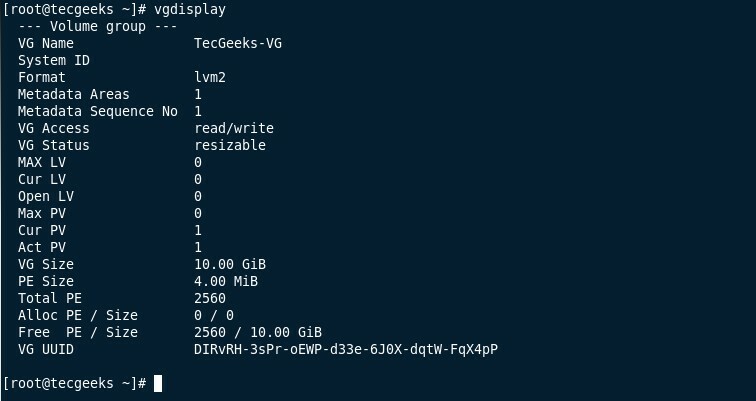 If the root (/) partition is on a logical volume, create a separate /boot/ partition which is not a part of a volume group. Physical Volume: A physical volume (PV) is another name for a regular physical disk partition that is used or will be used by LVM. 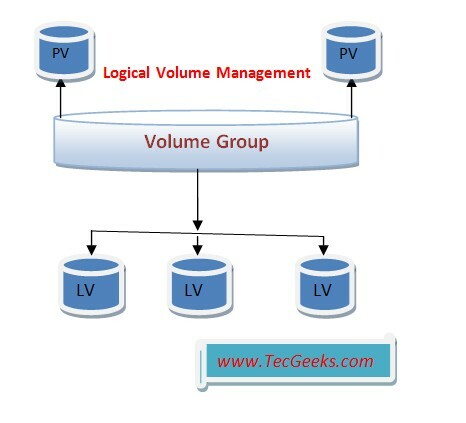 Volume Group: Any number of physical volumes (PVs) on different disk drives can be added together into a volume group (VG). The first thing you have to do is Create Partitions using FDISK and set partition type as LINUX LVM (ID 8e),make sure you have free disk space on your disk to create new partition. Physical Volumes are the free row disk without any partition. or a existing disk with free space. to create Physical volumes run below command , before creating PV find the device name using fdisk -l or p to print while creating partition. in my case it is /dev/sdb1, you can add multiple disk into PV. Volume group is group of multiple Physical volume. To use the LV you have to Assign to file system, use below command to format logical volume. 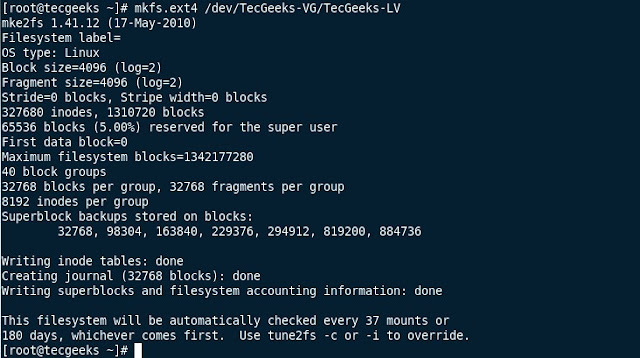 To use Logical Volume you have to mount into directory , you can use mount command to mount and using df-h command you can verify, mount command will mount to temporary, to mount permanently make any entry on fstab file. To activate and update new changes you can use #mount -a command.